Another super easy, ALMOST no cook recipe that is DELISH!! I am a cheese lover, and one of my favorites is Feta (although I REALLY don’t like the smell of it). 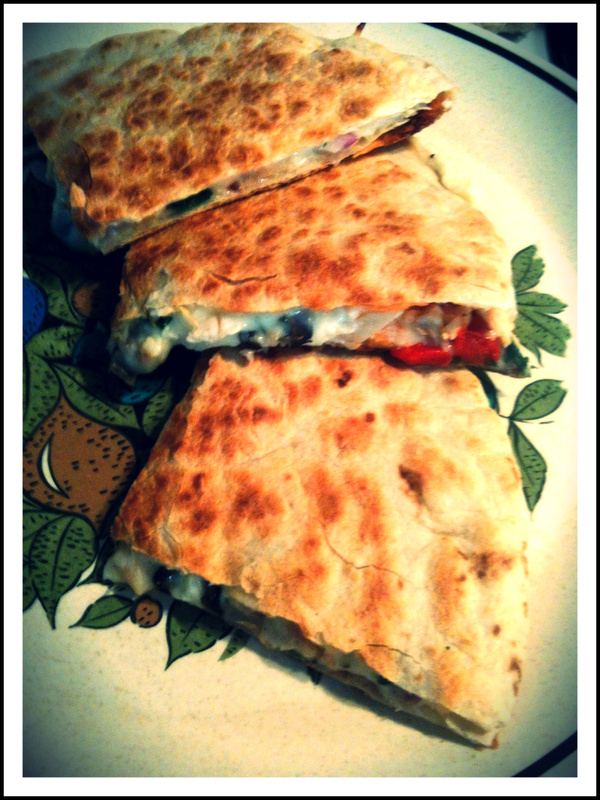 I wanted to figure out a quick and easy way to enjoy some feta, so this Greek quesadilla fit the bill! 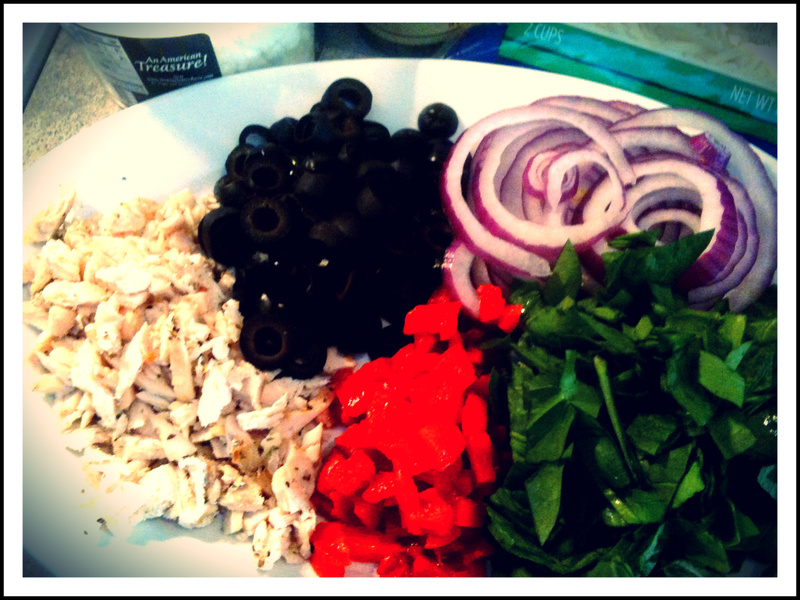 Here is what I used…..
Roasted red peppers (diced), sliced black olives, red onion (sliced), chicken breast (diced), fresh baby spinach (chopped), dried parsley (you could also use oregano, but I was out! 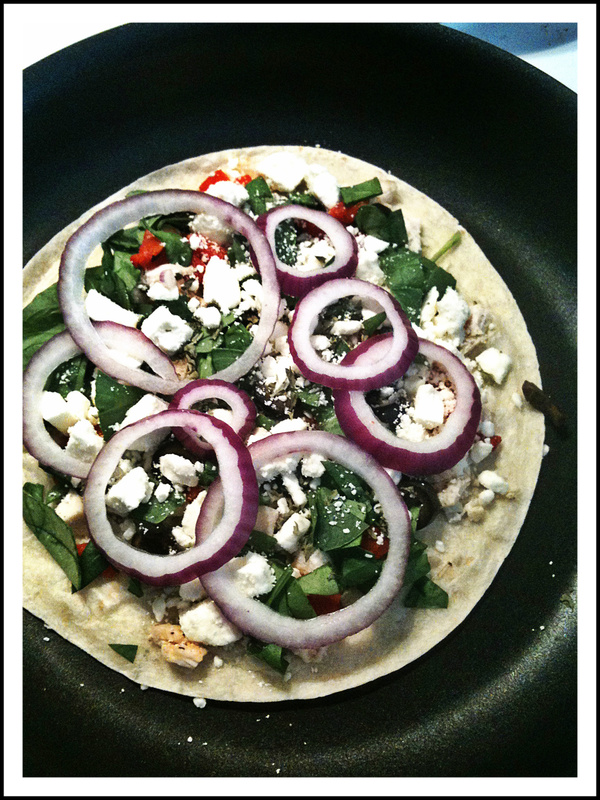 ), taco sized flour tortillas, Greek feta cheese, mozzarella cheese. Put your tortilla down in your warmed skillet (medium heat), put a thin layer of mozzarella on first, this is your “glue” for the bottom. 🙂 Then layer on all of your other ingredients as you please. 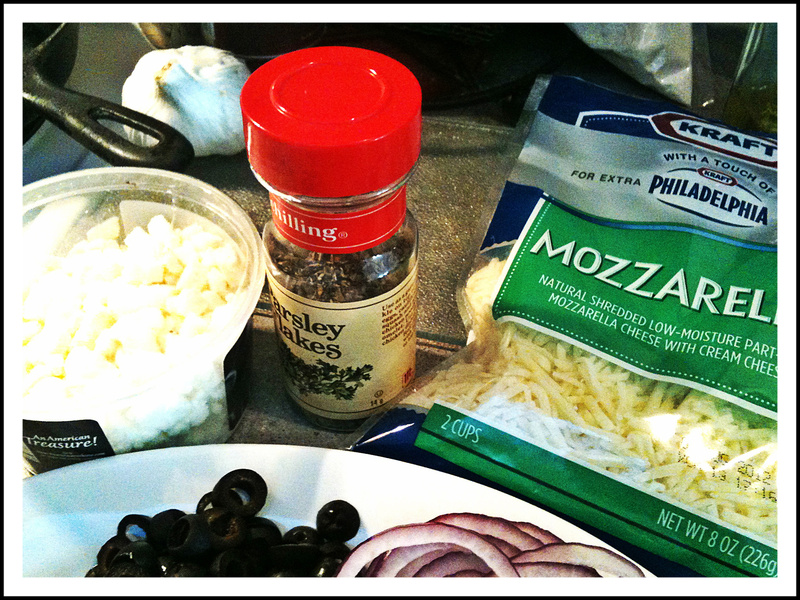 Finish with another layer of mozzarella on top (more “glue”), and top with another tortilla. Once the bottom tortilla is nice and brown, flip, and brown the other side. By this time, all your cheese will be all melty and nummy! I cut mine into wedges. You could also serve this with a greek tzatziki (click here for a quick recipe for tzatziki) for dipping if you want, but I found it was scrumptious all by itself! Enjoy!